If you are searching for a coated bass string that always sounds and feels great, you’ve come to the right place. D’Addario has developed exclusive wire coating machinery which allows it to control all the critical variables in the coating process. That provides the EXP160 series a consistent feel and bright tone that never sounds murky. 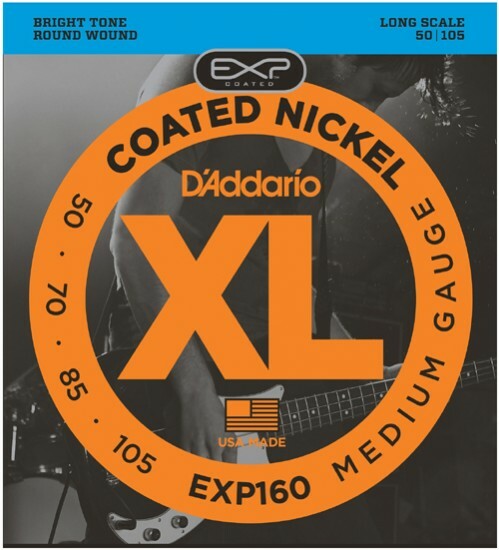 These strings fit long scale basses with a string scale length of up to 36 1/4 inches.